Managing your career involves key aspects of clarity, direction, and confidence. With these components developed and strong, you can build your plan, assess your skills, and bring your best to your career and work success. This program supports you in charting your goals and creating a plan that energizes and sustains your progress. Using both assessments and coaching, it provides you with an understanding of your career success framework — clarifying your natural resources such as values, career needs, and your unique system for moving forward to results. The Career Results Program addresses issues such as: career direction, job search, and other career challenges. Offered as a 3 or 6-month program. Maintaining a strong framework for professional, business or sales success begins with your confidence, clarity and understanding of your personal “results” framework. This framework is at the helm of your work success — directing your responses, propelling your strategies, affecting your success in both positive and sometimes less than positive ways. Accelerated Results provides a way to view and understand your personal “results” system and leverage your potential. When you can see both your strengths as well as resistance points, you can choose to build upon strengths, and allow resistance to fall away. Clarity and confidence expand and lead the way to high-level success. This program begins with key assessments and continues with follow-on coaching. Offered as a 6 or 12-month program. Studies show that though individuals may sometimes resist being managed, they appreciate being coached. Managers that incorporate coaching into their management style and strategies, support staff members in bringing their greatest leadership to their work and managing their success in a more sustainable way. Coaching Organizational Excellence outlines specific coaching skills and supports managers and other leaders in assessing, strengthening and incorporating coaching skills into their leadership style. This program also provides ways to understand, appreciate and leverage team behavioral styles through coaching. Offered as a 6 or 12-month program. 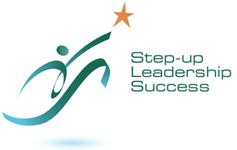 Step-up Leadership Success offers a perfect support to managers and other executives stepping into new roles and levels of responsibility. Along with providing an understanding of individual leadership style, this program supports individuals in assimilating personal branding and learning into strategies for team development, strategic planning, and career alignment. Offered as a 6 or 12-month program. For high-level, sustainable results. This one-year program is tailored to address specific business challenges. Assessments typically include: a 360 assessment, a Results Accelerator™ intake, and a DiSC Behavioral Assessment, along with twelve months on-going coaching support to expand opportunities and address challenges regarding specific business or sales challenges and goals. This program is tailored to business or sales leaders looking to address long-range, strategic plan and goals. Thriving is about energy – about feeling happy, motivated and in the flow of fulfillment and abundance. When you are in “thrive” mode, your sense of well-being is elevated and propels the components of your life, from personal fulfillment, career/life balance, to career success. This coaching program provides a step-by-step plan for building a “Thrive” framework to strengthen your personal alignment and help you lean towards success. This program supports you in expanding your awareness so that you become your best energy and attitude expert and learn to shift from “drive” mode where goals require more effort, to “thrive” mode where energy is refreshed and aligned in a way that fuels your success.